This originally was a Methodist Church chapel. In 1806, Samuel Embury, a pastor of this Church, arrived in Philipsburg and taught Methodism to the villagers. He was Philip Embury’s son, himself the builder of the first Methodist church in America, in New York City. Samuel is not the only Methodist circuit-rider who preached in Philipsburg at that time. In 1806 Francis Bacon, Micah Townsend and Henry Eames are also recorded as itinerant preachers who came to our village. Samuel designed and oversaw the building of this meeting hall between 1818 and 1822. 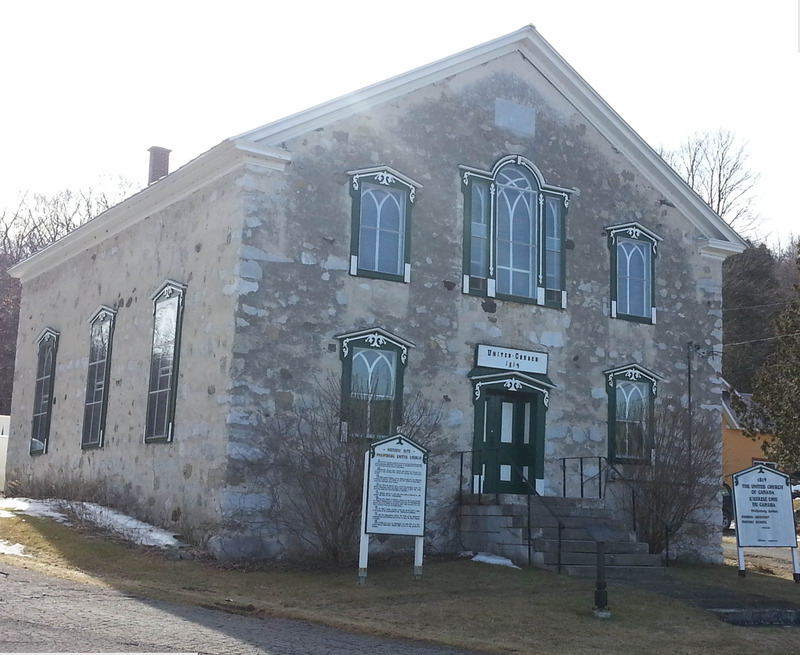 This Methodist chapel is the oldest in the Eastern Townships and the oldest still in use in Quebec. During the early days the preachers who came to the chapel were mostly circuit riders such as John Armstrong in 1823 and William Squire in 1837. But in 1858 Philipsburg finally had a resident Methodist pastor, a francophone, Armand Parent. The chapel’s architectural style is greatly inspired by that of the German Palatinate religious buildings. The reason for this stylistic choice is that many of the first loyalists were of German origin themselves, as their names clearly indicate: Bockus, Miller, Krans, Shufelt etc. These German descendants served in King George III’s regiments during the American independence war. King George himself was of German origin, from the small kingdom of Hanover, in northern Germany. 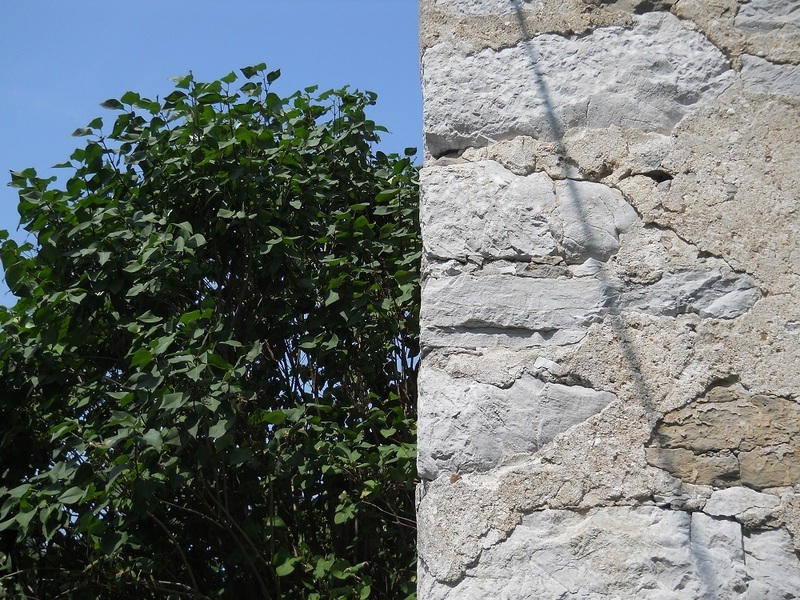 The chapel’s walls were originally made of wood but, in 1844, a stones and mortar outer layer was added to the walls. Some marble from a nearby quarry was also used. Unfortunately little is left of the Missisquoi marble. One can see this chapel’s quasi-twin where the Ridge and Gage roads converge near Stanbridge-East. That one is a Baptist church, dated 1842.